One of the first steps to selling a house is finding out what your property is worth through a professional property valuation. Accurately estimating the value of your home is especially important because it’ll not only ensure you get the best deal when selling, but also that your named price is competitive enough to attract potential buyers. If you’ve booked in an appraisal with one of our agents here at Upside, these are some of the key steps we recommend you take to prepare. We’re all human, and we know that everyone leaves a dirty pair of socks on the floor now and then. But having a clean and neatly presented home on the day of the appraisal will help give your agent the best view of your home and all its attractive features. Aside from your normal tidying up efforts, taking extra steps like shampooing the carpet or washing the walls will help give your agent a look at your home in its best light, and see its maximum potential. Have a stroll out the front of your house and look at your yard with fresh eyes. Are there a few stray weeds hanging around? Maybe there are some old kids’ toys on the lawn? These are all minor issues that are easy to take care of quickly and can have a big impact on your home’s presentation. Houses with attractive curb appeal tend to receive better value estimates, so it’s worth the extra effort. Any new or improved additions to your home like a renovated kitchen or bathroom, new gutters or roofing, new decking, new carpets and so on will all positively reflect on your home’s appraisal. 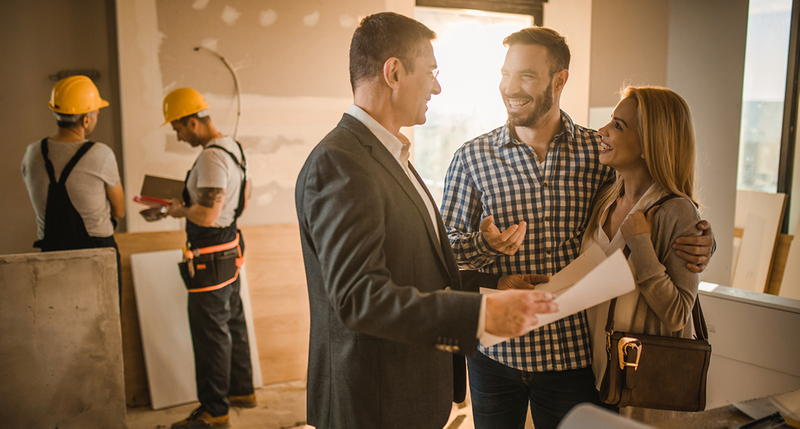 Be sure to tell your agent about any repairs or renovations you’ve had done so your appraisal accurately reflects those improvements (and can be used as a selling point for potential buyers). Improved additions to your home like a renovated kitchen? Be prepared to tell your agent so your property report reflects these improvements. It’s so easy to overlook that broken doorknob or rusted light fitting when you’ve seen it a million times before. But when a real estate agent comes into your home, they’ll be looking at all the little details to make sure they give your home the most accurate estimate possible. Have a walk around each room and write a checklist of minor repairs to do before an agent visits your property. Small improvements like a paint touch-up or new bathroom fixtures won’t set you back a lot of money but can make a difference to your home’s appeal to buyers. Last but not least, don’t worry too much about preparing for your property visit. Our agents are here to offer helpful guidance and tips on how to present your home in its best light and secure the best possible price for you. If there’s anything you’re unsure about, don’t hesitate to get in touch and we’ll be more than happy to help. Thinking about selling? Book your no-obligation property appraisal with one of our agents, or get a free online property value estimate. You can also get an indication of what your property may be worth with a free online value report. It only takes 30 seconds to request, and gives you comprehensive data from historic and recent property sales in your area so you can see how your home might compare.